Are you looking for the ultimate lighting combination for your off-road adventure? 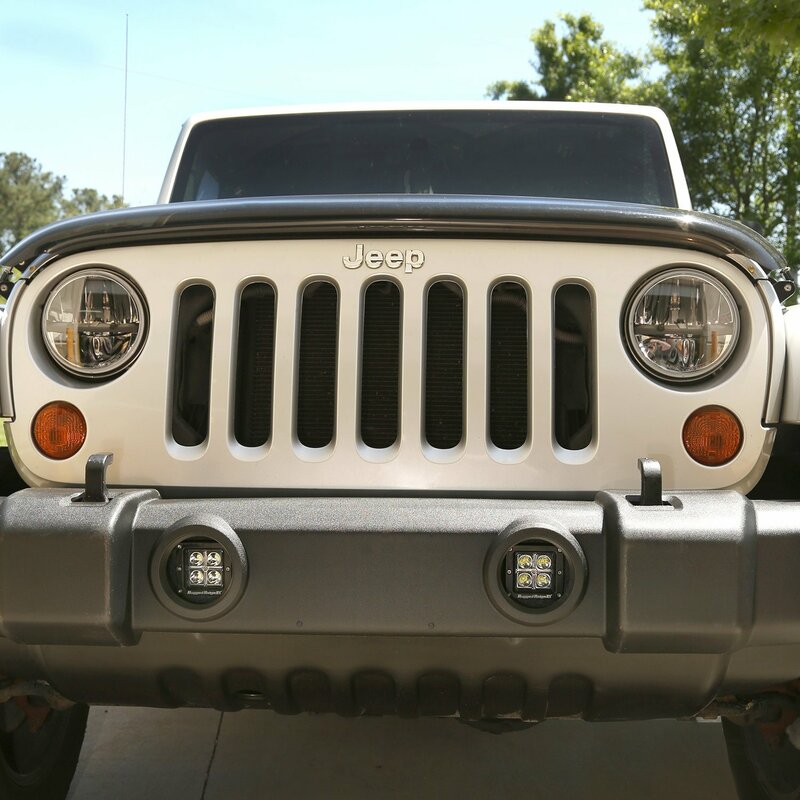 With this 4-piece LED light & mount kit from Rugged Ridge, you can update your factory fog lights to brighter and more energy efficient LED lights. 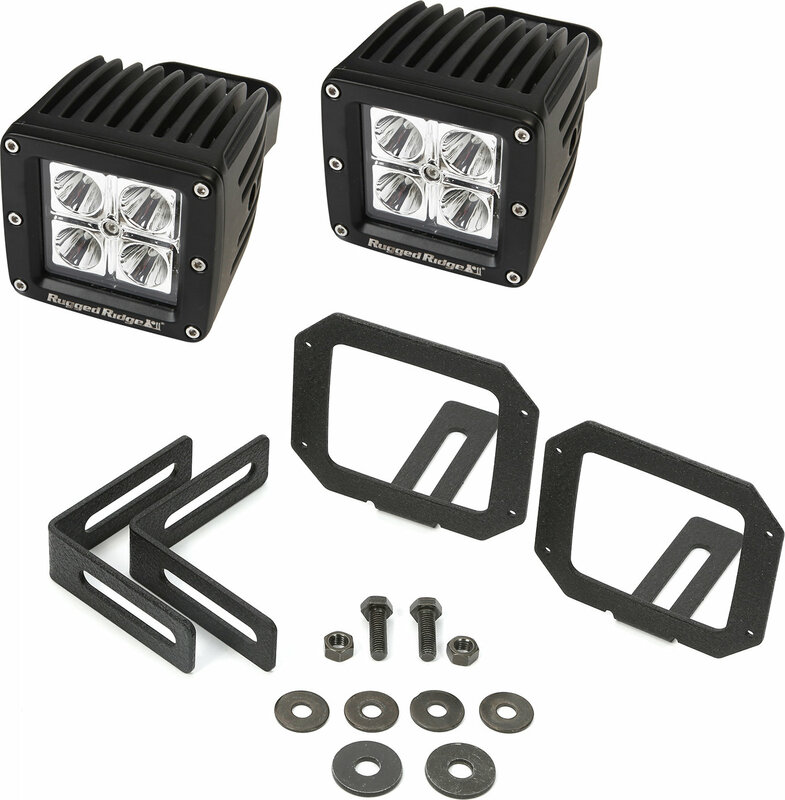 This kit includes two square light mount brackets and two 3.0-inch square LED lights for the ultimate in nighttime illumination on the trails.